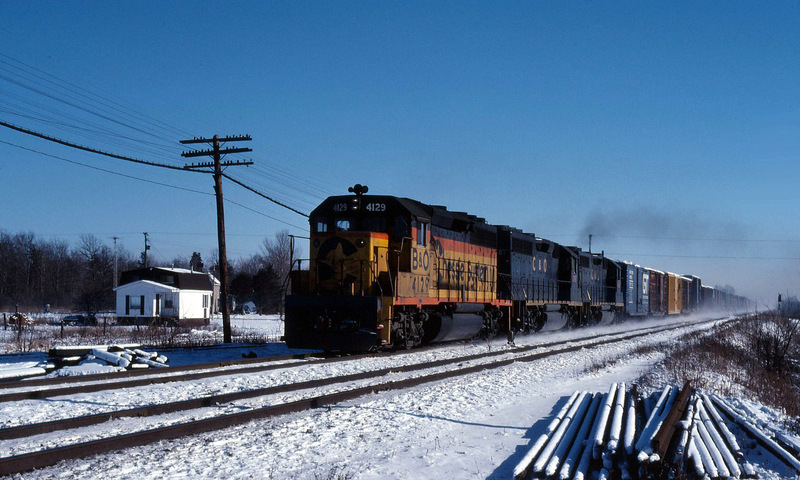 Railpictures.ca - Doug Page Photo: A Baltimore and Ohio GP40-2 leads a pair of Chesapeake and Ohio units through Canfield on a westbound freight in January 1979. | Railpictures.ca – Canadian Railway Photography – photographie ferroviaire Canadienne. Caption: A Baltimore and Ohio GP40-2 leads a pair of Chesapeake and Ohio units through Canfield on a westbound freight in January 1979.